When you're ready to store your boat, the Stryker folds down in minutes thanks to strategically placed quick-release knobs. Even on a trailer, the Stryker SG600 T-Top will fit in most standard sized garages when folded down. 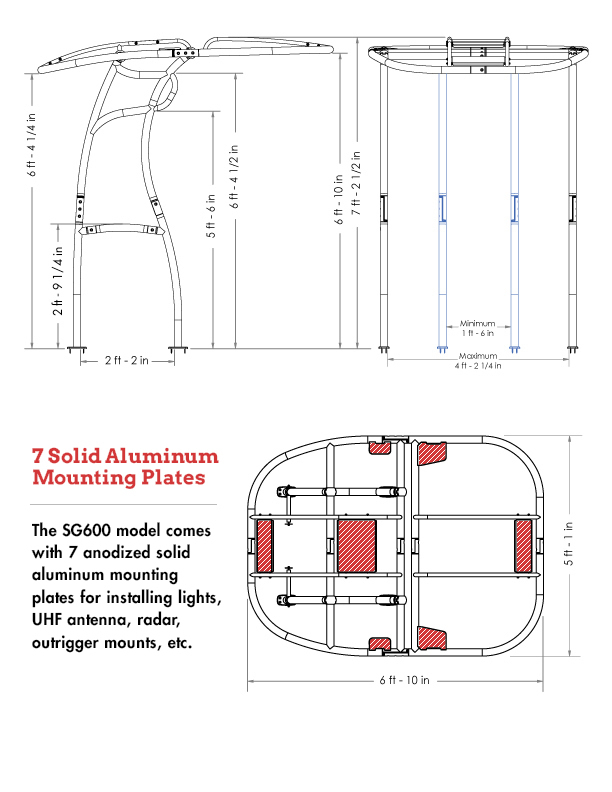 Standoffs in anodized aluminum(not powder coated white) are included and can be sized for any installation. This T-top made a night and day difference in the look and functionality of my boat. The added shade and rain protection are great. 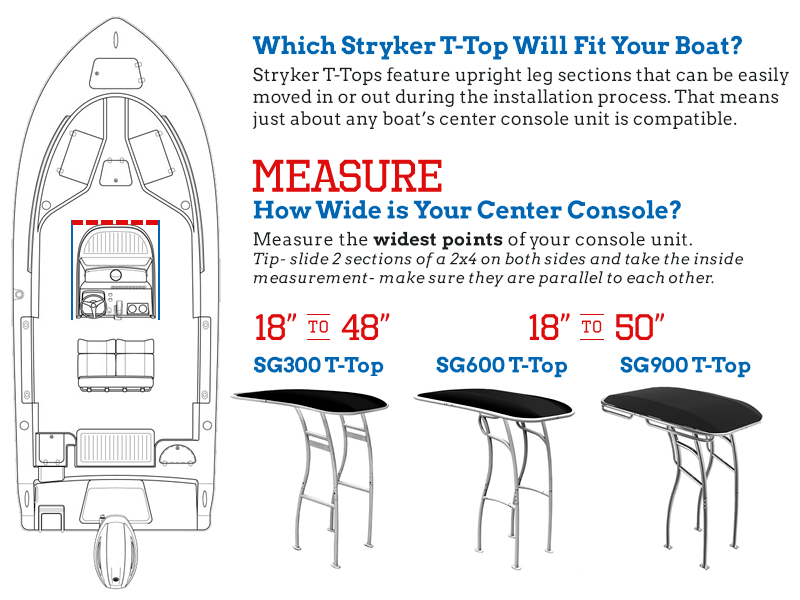 I won’t own another boat without a Stryker T-Top. Made the boat look great as well. Had my eye on the SG600 for a long time and was one of the first to buy it in white powder coated. 100% happy with my purchase! Stryker did a great job. The quality is much better than I thought for the price. Might as well be a custom fabrication that's how good it is! Got a free ebox and fast shipping to boot! Will be back to buy more.